Kindly read the disclaimer before proceeding to browse the site. Thank you. This disclaimer (“Disclaimer”) will be applicable to the Website. By using or accessing the Website you agree with the Disclaimer without any qualification or limitation. [●] (“The Company”) reserves the right to add, alter or delete material from the Website at any time and may, at any time, revise these Terms without notifying you. You are bound by any such amendments and the Company therefore advise that you periodically visit this page to review the current Terms. The particulars contained or the details mentioned in respect of the Projects/developments undertaken by the Company including depicting banners/posters of the Project/development are being modified in terms of the stipulations / recommendations under the Real Estate (Regulation and Development) Act 2016, and Rules made thereunder (“RERA”) and accordingly may not be fully in line thereof as of date. You are therefore, required to verify all the details, including area, amenities, services, terms of sales, payments and other relevant terms independently with the sales team/ company prior to concluding any decision for buying any unit(s) in any of our projects/developments. Till such time the details are fully updated, the said information will not be construed as an advertisement. To find out more about our projects / developments, please telephone our sales centres or visit our sales office and speak to our sales staff. This website is currently being updated. While enough care is taken by the Company to ensure that information in the website are up to date, accurate and correct, readers are requested to make their independent enquiry before relying upon the same.All content including brochures are purely for general informational purposes only. It is not meant to constitute an offer or solicitation. 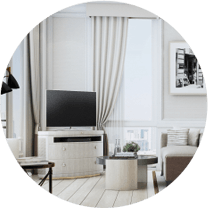 No furniture or accessories or any other item of personalized nature shown in any of the visuals are provided with the unit. All intending purchaser/s in any of the projects shall be governed by the terms and conditions envisaged under The Real Estate (Regulation and Development) Act 2016. Nothing on the website should be misconstrued as advertising, marketing, booking, selling or an offer for sale or invitation to purchase a unit in any project by the company/firm.The company/firm is not responsible for the consequences of any action taken by the viewer relying on such material/information on this website. To find out more about projects/developments, please call +91 80 6742 3333 or visit our sales office during working hours and get in touch with authorized sales representatives of the Company. Premium luxury residences in the heart of a global city. An integrated city at Thanisandra, Bengaluru Bhartiya City puts the best parts of the best cities from around the world under one sky. group has been dedicated to extending warm, gracious service in settings that capture the essence of India. Since 1986, The Leela Palaces, Hotels and Resorts have been the pioneers of a great Indian tradition – ‘atithi devo bhava’ or guest is God. it home. 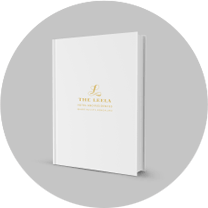 It gives us great pleasure to come together and craft The Leela Residences, a new era of luxury living in India. including an East-meets-West Spa, a classic bar and finely furbished rooms. Its 3 expansive levels include a business centre, meeting room, boardroom, exhibition hall and a ballroom. 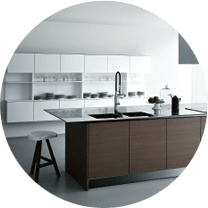 kitchen, the studio-style Leela Residence effortlessly doubles as a place to live and a space to work. just some of the things that make this Residence nothing short of your very own private suite. to ceiling glass façade for the beautiful outside views. been designed to enjoy the finer things in life. 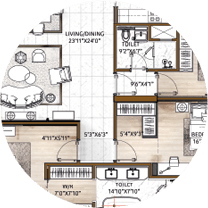 two spacious private decks, dedicated staff room and a host of many services on call. The Four Bed Leela Residence is your very own Leela Palace. is just the place to book two seats for the latest musical or host a quick catch up. you're in the mood for something special and enjoy some old favourites with a side of experimentation. Beautifully furnished and well-stocked, the ultra luxurious bar at The Leela Residences, Bengaluru is the perfect place to raise your spirits. Settle back with a glass of your favourite wine or make a trip to its dedicated music room. spacious and temperature-controlled, making it the perfect place for an afternoon lap or two. in itself. But for those lazy afternoons, there’s also a fully fitted Leela spa right next door. From first editions to New York Times bestsellers, the 6th floor library is a haven for book lovers. Whatever your favourites, you’ll be sure to find a copy here, plus a cozy corner to enjoy them in. has it all, making it just the place to spend an hour or two with friends. call some friends and settle back into its plush lounge chairs! At The Leela Residence, whether it's an intimate dinner or a full-blown party, the more the merrier. We'll make sure your evening is perfectly set, served and finished. team of child specialists and nursery staff will make sure they are well looked after. right at your doorstep in The Leela Residences. I agree to the Terms & Policies . Thank you. We will get in touch with you at the preferred time. 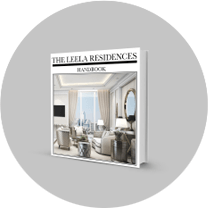 Thank you for showing your interest in Leela Residences.